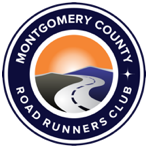 This policy is intended to guide Montgomery County Road Runners’ charitable contributions. The policy addresses contributions directly from major races and from the entire club. “Major races” are those that charge an entry fee to all participants including MCRRC members and include runner premiums and awards to top finishers. “Net proceeds” means funds left over after all race expenses have been paid and seed money has been set aside for the next year’s race. ”Running-related recipients” means not-for-profit entities that promote or are involved in running as or a primary mission. Partners are entities that are involved in the planning and execution of the race. A minimum of 50 percent to MCRRC. A maximum of 15 percent to organizations that support the race through donations of services that are essential to conduct the race. A maximum of 25 percent to non-profit and municipal partnersand sponsor-selected beneficiaries. Entities that are involved in the planning and execution of the race are considered partners. A maximum of 10 percent to a running-related recipient of the race director’s choice. Donations should be limited to local organizations involved in supporting or promoting running. Contributions to individuals should be made only under extraordinary circumstances or as governed by other policy. Contributions also can be made to sponsor specific initiatives that support runners and running, such as trail/path/track improvements or facilities (for example, water, toilets) on trails/paths. All requests for donations will be considered by the Board which will make a decision as to whether a specific request should be granted.